Here’s your first look at the issues behind today’s Florida politics. Re-reading what I wrote yesterday about Chris Sprowls‘ birthday, I may have set myself up to fail because today is Michelle’s and my anniversary. Clearly, I need to be more effusive about the seven incredible years she and I have been married than I was about some dude’s birthday. Then again, there is not enough space in a thousand editions of Sunburn to fully capture how strongly I feel about her and our life together. The only thing I can count on — I hope — is that my love for her shows and shows brightly. Not in gifts given or Disney cruises embarked upon (although you can never sail too many days with Mickey! ), but in my devotion to her and our family. Only a fool would say that their marriage is better than any one of the many, many good marriages in the world, but I am confident there aren’t many instances in which one woman has done more to improve the life of one man than what Michelle has done for me. So today, seven years after Michelle first said “I do,” I am going to take the day to show her how eternally grateful I am for her love. Sunburn will be off tomorrow, returning to inboxes Thursday morning. Let’s begin the day with an exclusive from K-Street. Legal and lobbying beheamoth GrayRobinson is setting up shop in Washington D.C. 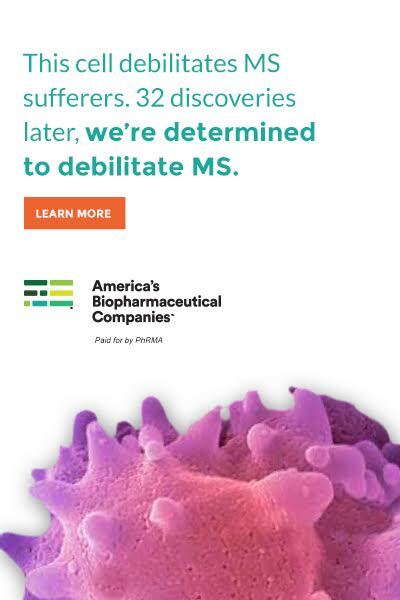 The Florida based firm announced late Tuesday that it inked a deal to acquire Washington-based lobby shop Eris Group, effective Feb. 1. 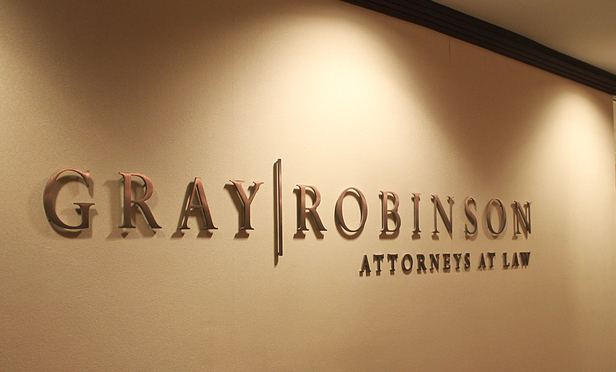 GrayRobinson, which often places well in the Florida list of top-earning firms, said the acquisition would extend their capabilities beyond Florida, and expands its capacity to serve clients with federal lobbying needs. Washington-bound: GrayRobinson heads to D.C. Though Eris was founded as a federal lobbying firm from the start, it does have strong ties to the Sunshine State — co-founder Doyle Bartlett is a native Floridian who worked as the former U.S. Rep. Bill McCollum’s chief of staff. GrayRobinson’s news is the second major announcement to come from the Adams Street firms this week. On Monday, Ballard Partners said it was branching out into the public relations game under the “Ballard Media Group” banner. —@MarcACaputo: Judging by the controversy over McDonaldsGate, who’s gonna write about Big Mac voters being the key to 2020? —@AOC: This WH admin has made having a functional understanding of race in America one of the most important core competencies for a political journalist to have, yet @CBSNews hasn’t assigned a *single* black journalist to cover the 2020 election. —@JRosenworcel: Go ahead, take a look at the back of the nearest electronic device. You’ll see an @FCC number. The agency certifies every innovative mobile phone, television, and computer that emits radio frequency before they can head to market. Guess what is not happening during the shutdown? —@MattGaetz: Governor Desantis is changing the FL Supreme Court from one of the most liberal courts in America to likely the most conservative. Another Grand Slam pick with Justice Luck! —@Fineout: So in other words the Senate and House will be in demonstrably different positions when it comes to gambling and what can be done during session. Stop me, oh stop me if you think you’ve heard this one before. —@RosemaryOHara14: I’m happy to announce that @sbustosFL is the @SunSentinel‘s new deputy Opinions editor. He started today and — oh boy! — I feel like the cavalry arrived. MLK Day — 6; State of the Union address — 14; Super Bowl LIII — 19; Scott Maddox trial begins — 27; ‘Hamilton’ comes to the Straz Center — 28; Pitchers and catchers begin reporting for MLB Spring Training — 28; Valentine’s Day — 30; 2019 Legislative Session starts — 49; Tampa mayoral election — 49; ‘Captain Marvel’ release — 52; St. Patrick’s Day — 61; 2019 Major League Baseball season begins — 64; Final season of ‘Game of Thrones’ begins — 89; Easter — 96; 2019 Legislative Session ends (maybe) — 108; 2020 Democratic presidential primary debates begin — 143; Iowa Caucuses — 381; 2020 General Election — 658. Lucky day: Ron DeSantis congratulates Miami Appellate Judge Robert Luck as his second nomination for the Florida Supreme Court. Oh, and on this appointment, Sunburn told you first. 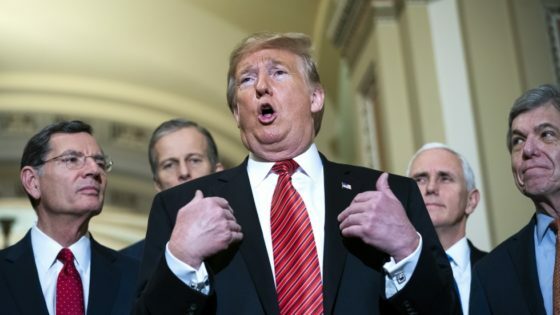 Ron DeSantis uneasy over wall funding plan — President Donald Trump has toyed with using Army Corps of Engineers money to pay for his border wall. According to Annie Snider of POLITICO Florida, DeSantis isn’t a fan of that plan. “We have people counting on that [money],” he said. … “If they backfill it immediately after the government opens, that’s fine, but I don’t want that to be where that money is not available to us.” Florida relies on Army Corps funding for numerous projects, from dredging canals to Everglades restoration. DeSantis, who rode a Trump endorsement to the Republican gubernatorial nom last year, isn’t the only elected leader who has expressed concerns over the President’s untraditional funding plan — pols from both sides of the aisle, including California Democratic U.S. Rep. John Garamendi and Texas Republican U.S. Sen. John Cornyn, have frowned at the prospect. “DeSantis plane problem refuels debate” via the News Service of Florida — A mechanical problem Friday with a seized drug plane being used to shuttle DeSantis throughout the state has revived talk of new or improved air transportation for the Governor and, maybe, members of the Florida Cabinet. But if the state returns to an air fleet that would include Cabinet use, expect tighter controls than when personal use of the state’s former planes turned into a campaign issue in 2010. … The Florida Department of Law Enforcement has provided little information about the seized King Air, which DeSantis has said he is using in the department’s capacity of providing security in his travels. The FDLE does not offer similar services to Cabinet members. Scott, who took the oath Tuesday for the U.S. Senate, made the state’s ownership of a pair of airplanes — a Beech King Air 350 and a Cessna Citation Bravo — and employment of flight crews a campaign issue when he first ran for governor in 2010. While the two planes were supposed to be for necessary official travel, they had been at the center of allegations of misuse. Assignment editors — DeSantis, joined by Lt. Gov. Jeanette Nuñez, will make a major announcement, 2 p.m., Jewish Federation of South Palm Beaches Building, Jerusalem Walkway, 9901 Donna Klein Blvd., Boca Raton. “Two water district board members agree to Governor’s request to resign” via David Fleshler of the Orlando Sentinel — The governor asked for the resignations of the entire nine-member board of the South Florida Water Management District, as part of the most dramatic first week in power for any Florida governor in recent memory. Long accused by environmentalists of excessive concern for the interests of the sugar industry, the board drew intense criticism in November for agreeing — on short public notice — to extend a lease for sugar farming on land slated for use as a reservoir to protect the Everglades and Lake Okeechobee. 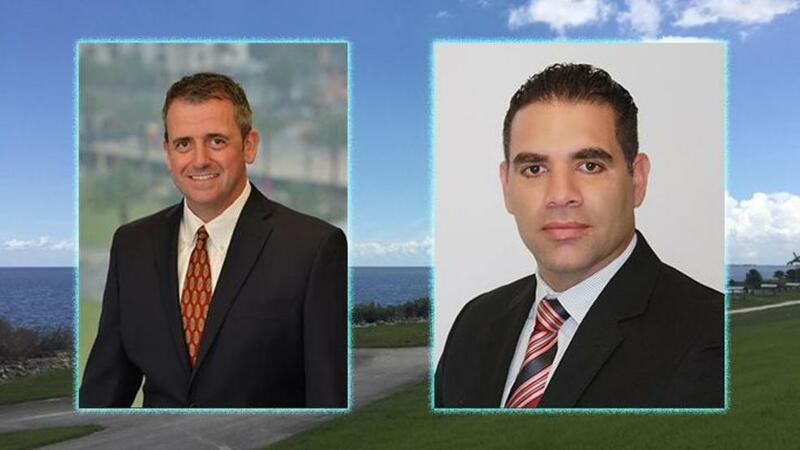 Handing in their resignations were Carlos Diaz, co-founder of a Pembroke Pines software company, who represented Broward County, and Dan O’Keefe, an Orlando real estate lawyer, who represented Orange, Glades, Highlands, Okeechobee, Osceola and Polk counties. The resignations leave six board members, another member having resigned at the beginning of the year. Of those six, four have terms that expire in March. Dan O’Keefe and Carlos Diaz heed the Governor’s call, resign from the SFWMD board. Image via WPEC. “Feds whacked new Florida health chief for failing to probe hundreds of disabled deaths, sexual assaults” via Jerry Iannelli of the Miami New Times — When Trump chose Mary Mayhew to run the nation’s Medicare and Medicaid programs in 2018, Maine residents were alarmed: From 2011 to 2017, Mayhew had run that state’s medical programs. She was so psychotically focused on cutting medical programs for the poor that she became known as “Mary Mayhem.” Oddly, she stepped down three months later. Now Mary Mayhem will run DeSantis’ Agency for Health Care Administration, which oversees the state’s Medicare and Medicaid programs. Mayhew was accused of grossly mismanaging Maine’s Medicaid programs from 2011 to 2017. Most notably, the federal government in 2017 issued a scathing audit that critics say should have driven Mayhew out of public life for good. In August of that year, the feds found that, under Mayhew’s control, Maine failed to follow federal and state requirements for reporting and monitoring sexual assaults, suicides, and injuries of residents with disabilities. Personnel note — Mary Barzee Flores to oversee concealed weapons permits in Ag. Dept. — Barzee Flores, who spoke out in favor of gun control during her 2018 congressional run against U.S. Rep. Mario Diaz-Balart, has been named Deputy Commissioner for Consumer Affairs in Nikki Fried’s Department of Agriculture. 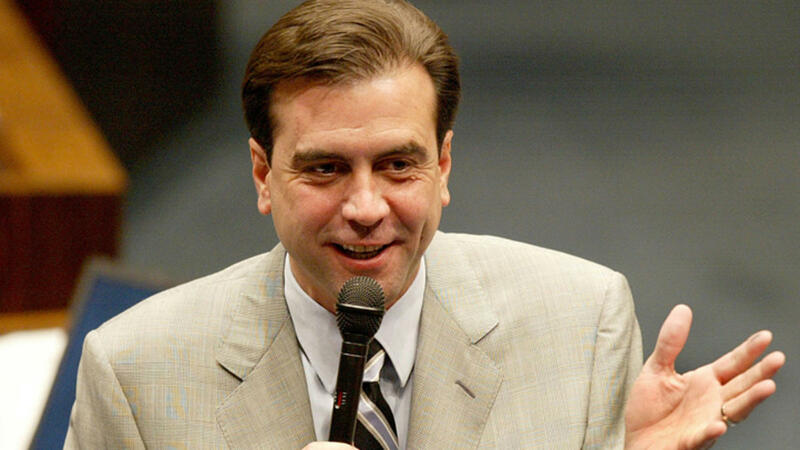 Barzee Flores will be tasked with overseeing Florida’s concealed weapons licensing process. “Mary’s extensive experience with consumer protection issues, as both an attorney and a judge, make her a perfect fit as we strengthen our Department’s consumer services and protect Florida taxpayers,” Fried said of the selection. 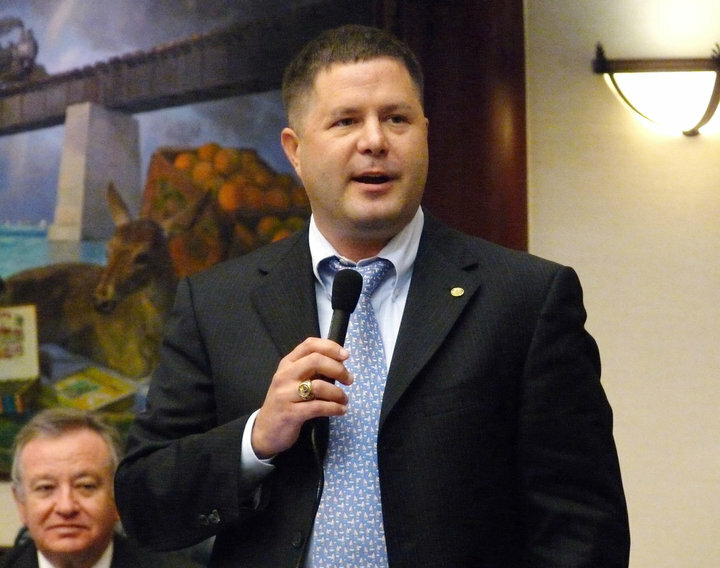 “Dana Young hopes VISIT FLORIDA funding to remain stable” via Jacob Ogles of Orlando Rising — “The new governor has said he realizes the vital role of tourism in our state budget, in our economic prosperity,” Young said. “When you realize tourism dollars make up roughly one-third of our state budget, then it’s an easy, easy move to say we need to continue funding this agency.” DeSantis tapped Young as a new head of the agency. “There’s an old saying that goes ‘Make new friends, but keep the old. Some are silver, but the other gold,’” she said. 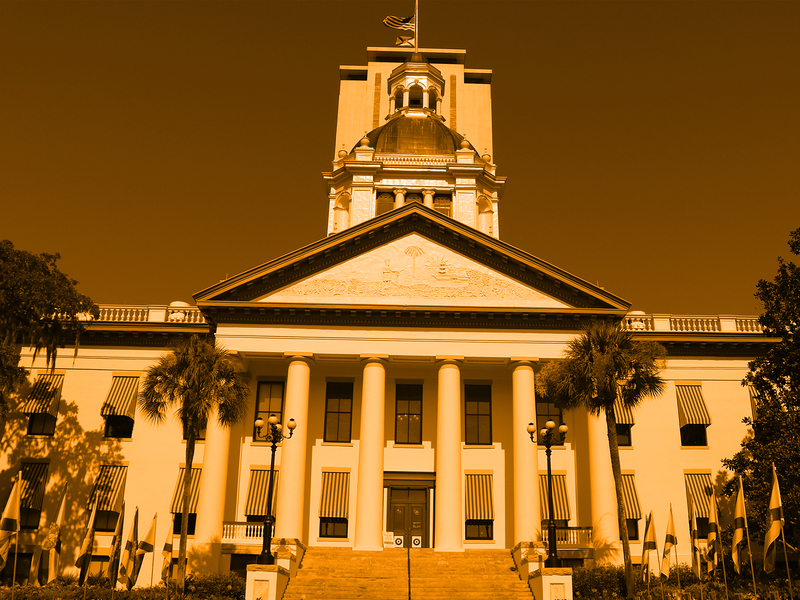 “Lawmaker wants to eliminate the Constitutional Revision Commission” via the News Service of Florida — Rep. Brad Drake filed a proposed constitutional amendment (HJR 249) and a related bill (HB 251) that would repeal the commission. If approved by lawmakers, the proposal would go on the 2020 ballot because repealing the commission would require changing the state constitution. The proposal came after the commission last year placed seven amendments on the November ballot, with all ultimately passing. Enough is enough: Brad Drake is seeking to eliminate the CRC. “Local publisher requests $1.2 million from Legislature for Cuban Club” via Janelle Taylor Irwin of Florida Politics — La Gaceta Editor and Publisher Patrick Manteiga is asking lawmakers for $1.2 million to pay for repairs and renovations to the historic Cuban Club in Tampa’s Ybor City. State Rep. Susan Valdes is sponsoring an appropriations request. The funding would come from the Department of Economic Opportunity. Manteiga says the funding would be used to reduce water intrusion to the building, replace gutters, pedestrian decks, windows, doors and balconies on the 4th-floor ballroom. It would also be used to replace and modernize the building’s outdated elevator. No more Fido repos: Annette Taddeo wants to end the practice of lease-to-own pets. Assignment editors — State Reps. Carlos Guillermo Smith and Anna Eskamani co-host a town hall on the future of arts and culture funding in Florida, 3 p.m., Orlando Repertory Theatre, 1001 E Princeton St., Orlando. Media can confirm attendance at Lauren.Cooper@myfloridahouse.gov. Today’s legislative delegation meetings — Martin County — state Sen. Gayle Harrell, state Reps. MaryLynn Magar and Toby Overdorf — 9 a.m., Indian River State College, Chastain Campus, Wolf Technology Center, 2400 S.E. Salerno Road, Stuart. Lee County — Sens. Ben Albritton, Lizbeth Benacquisto and Kathleen Passidomo, with Reps. Dane Eagle, Heather Fitzenhagen, Spencer Roach and Rep. Ray Rodrigues — 9 a.m., Florida Southwestern State College, Nursing Building, 8099 College Parkway, Fort Myers.) Broward County — chaired by state Rep. Rick Stark — 9:30 a.m., City of Sunrise Civic Center Theater, 10610 West Oakland Park Blvd., Sunrise. Lake County — Sens. Dennis Baxley and Kelli Stargel, Reps. Brett Hage, Anthony Sabatini and Jennifer Sullivan — 1 p.m., Lake-Sumter State College, Leesburg Campus, 9501 U.S. 441, Leesburg. Brevard County — Sens. Debbie Mayfield and Tom Wright, and Reps. Randy Fine, Thad Altman, Rene Plasencia and Tyler Sirois — 5 p.m., Palm Bay City Council chamber, 120 Malabar Road S.E., Palm Bay. 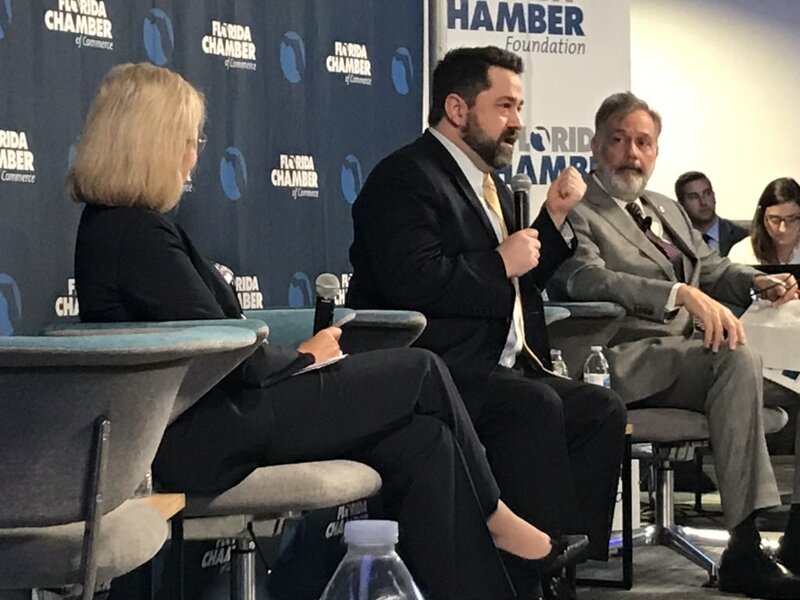 “Florida Chamber Foundation forecasting mild slowdown, no recession” via Scott Powers of Orlando Rising — Florida’s economy might not be booming as robustly in 2019 as the past couple of years but talk nationwide of a possible recession this year probably won’t slow the state down too much. That’s the theme of the economic forecasts presented at the Florida Chamber Foundation’s Economic Outlook and Jobs Summit in Orlando, with Florida Chamber of Commerce President Mark Wilson leading the way by declaring that Florida appears positioned well. “We believe that Florida once again will continue to set the pace for the rest of the country,” Wilson said. Jerry Parrish, the chief economist for the Foundation, projected 150,000 new Florida jobs created in 2019. That’s down from last year’s forecast of 180,000 jobs for 2018, and from the actual number, which was 196,600, at least through November, compared with November 2017. This comes as some national economists are looking cautiously at 2019, Parrish noted. In particular, they highlighted: Florida’s population is growing by about 900 people a day; Florida’s economy is growing by almost $1 million per hour. “So much income is moving into Florida that we track it by the hour,” Wilson said. Florida’s economy is diversifying, This year, Wilson said, Florida moved up from the 24th most-diverse economy in the country to 20th. “Job creation is slowing in the state of Florida. But remember, we’re faster than everybody else. I still expect us to be growing faster than the U.S. rate,” Parrish said. Talk of a possible recession won’t slow down Florida’s economic engine in 2019, says the Florida Chamber at its Economic Outlook & Jobs Summit, which started Monday in Orlando. Jimmy Patronis petitions Florida Triumph for aid in Hurricane Michael recovery — CFO Patronis sent a letter to Triumph Gulf Coast, Inc. before its board meeting requesting the group’s assistance in allocating relief money to areas affected by the storm. “I am asking Triumph to work with local government and representatives from the financial services industry in certain affected counties to find means to utilize these funds to assist with recovery and rebuilding efforts,” Patronis wrote. “Given the unprecedented destruction caused by Hurricane Michael, it is important that we all work collaboratively to help this area recover.” Triumph was created by the legislature to help disperse money to affected counties following the 2010 Deepwater Horizon oil spill. “Committee tours reopened Bay Correctional and Rehabilitation Facility” via Drew Wilson of Florida Politics — One week after the Panama City-based private prison reopened, Warden Craig Hanks led a tour with the facility’s Community Advisory Committee to give them a sense of the damage wrought by the devastating storm that tore through the Panhandle in October. Hanks detailed the steps taken at the GEO Group facility to prepare for Michael and what it’s done over the past three months to speed toward reopening the facility. Chief among those efforts: Setting up temporary housing for staff and their families, some of whom still needed a place to stay a month after Michael dissipated. 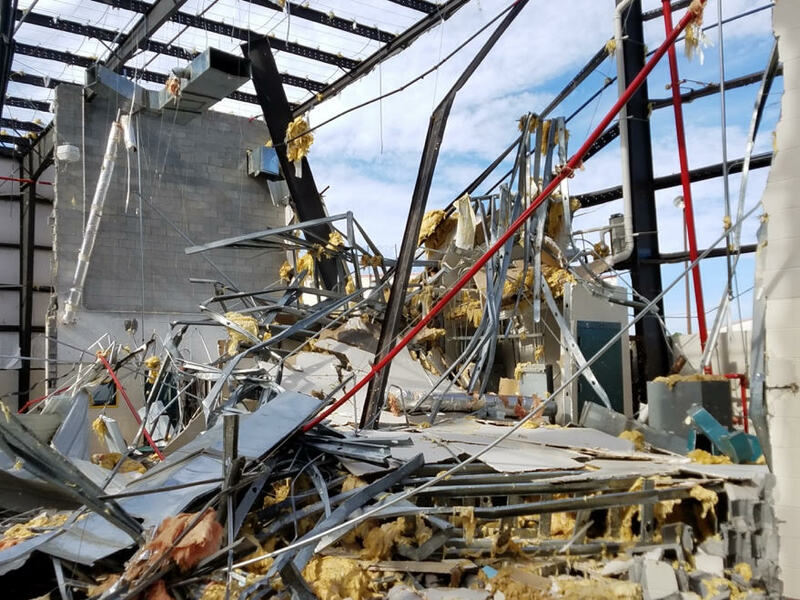 Bay Correctional and Rehabilitation Facility suffered catastrophic damage when Hurricane Michael hit Northwest Florida. William A. Van Nortwick, retired 1st DCA judge, dies at 73 — Van Nortwick, a Jacksonville attorney and retired appellate judge, died Saturday. The Florida Supreme Court announced his death. Van Nortwick was an original member of the Florida Commission on Access to Civil Justice, “one part of his career-long commitment to extending access to Florida’s courts,” the court’s “in memoriam” notice said. He served on the 1st District Court of Appeal from 1994 until his retirement in 2015. He was the recipient of the Chief Justice’s Distinguished Judicial Service Award in 2005, The Florida Bar Pro Bono Award in 1992, The Florida Bar President’s Award of Merit in 1992 and 2001, among other honors. He received his undergraduate degree from Duke University and his law degree with honors from the University of Florida. The Florida Office of Insurance Regulation will start a two-day insurance “summit” on Tuesday. Speakers include Insurance Commissioner David Altmaier; state Sen. Jeff Brandes; Tasha Carter, Director of the Division of Consumer Services for the Department of Financial Services; and Guy Fraker, who has 30 years of experience in the insurance industry. Scheduled are an array of breakout sessions and roundtables on the pressing issues in insurance. The agenda is here. 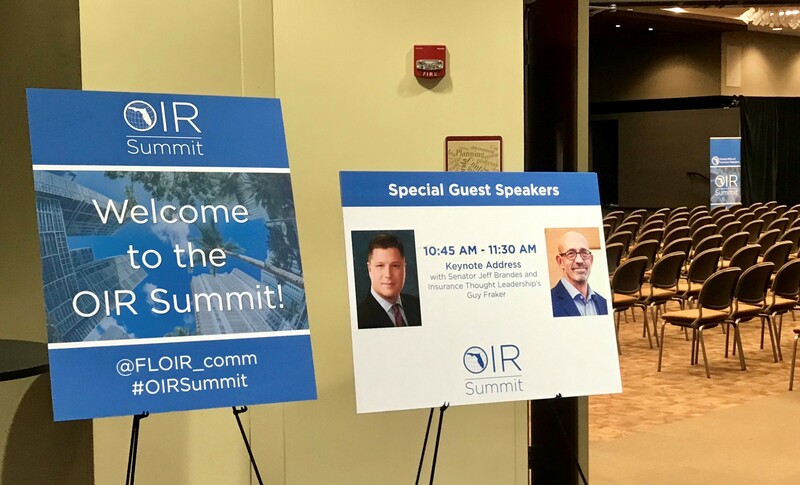 A little tease for the OIR Summit, which starts this morning in Tallahassee. It begins at 9 a.m., at the Augustus B. Turnbull Florida State Conference Center, 555 West Pensacola St., Tallahassee. Registration, however, is now closed for the event. 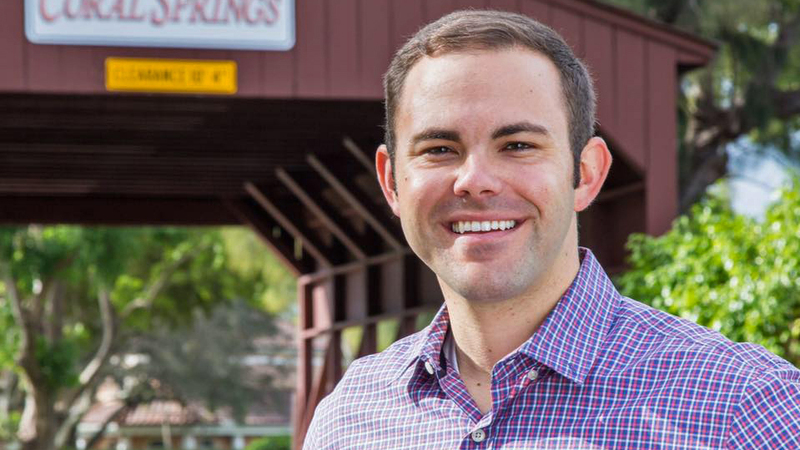 Dan Daly gets thumbs up from Jared Moskowitz, the man he hopes to replace in the House. “USF reviewing more than 30 resumes for president job” via Megan Reeves of the Tampa Bay Times — The University of South Florida has received resumes from more than 30 people who could serve as its next president, trustee Les Muma announced. His update to fellow university officials at an afternoon workshop is the first since November when the team charged with finding USF’s next leader met to finalize a job description for longtime President Judy Genshaft‘s replacement. She retires July 1. Muma, who leads the presidential search committee, said he and trustees Chairman Brian Lamb have been in close contact with USF-hired search firm Greenwood/Asher and Associates. The university’s agreement with the consultant group is set up carefully so that presidential candidates submit applications directly to firm President Jan Greewood rather than USF personnel to avoid those materials falling into the public record. “Alex Diaz de la Portilla files to run for Miami commission” via Joey Flechas of the Miami Herald — Diaz de la Portilla filed paperwork with the city of Miami to open a campaign account, confirming a rumored run for the District 1 commission seat, which is being vacated by Wilfredo “Willy” Gort. Gort is term-limited this year. Diaz de la Portilla’s most recent foray into Miami City Hall politics was 2017 when he worked on Commissioner Joe Carollo‘s campaign. A state representative in the 1990s and state senator during the 2000s, Diaz de la Portilla has worked as a political consultant in recent years and has unsuccessfully run for office twice since 2017. That year he lost a bid to return to the state Senate, where he once served among the senior leadership of the Republican majority. When former County Commissioner Bruno Barreiro resigned his seat to run for Congress in 2018, Diaz de la Portilla ran for his seat in a special election. He placed third behind Zoraida Barreiro, Bruno’s wife, and Eileen Higgins, who was elected in a runoff. If at first, you don’t succeed: Alex Diaz de la Portilla confirmed rumors he’s returning to electoral politics, this time to run for Miami City Commissioner. “Where in the world is Carmen Sandiego? Miami!” via the Miami Herald — Iconic children’s computer/television game show super-thief Carmen Sandiego paid a visit to the Sunshine State. Actress Gina Rodriguez, who is the voice of the globe-trotting heroine in the new animated show “Carmen Sandiego” which debuts Friday on Netflix, visited with students at the Adrienne Arsht Center’s Knight Concert Hall in Miami. 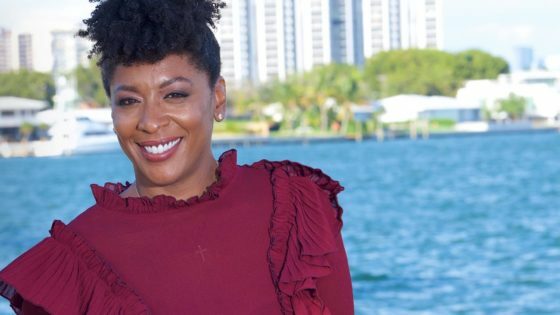 Learning company Houghton Mifflin Harcourt (HMH), which owns the “Carmen Sandiego” brand, chose Miami for the launch event because of its diverse, international community. Why is Carmen a great role model for today’s students? HMH CEO Jack Lynch explained: “A character like Carmen Sandiego with a curiosity for other cultures is perfect.” HMH said it also plans to incorporate the character into its curriculum. First on #FlaPol — “Five join Rick Scott’s senior staff” via Danny McAuliffe of Florida Politics — Serving as Scott’s Deputy Chief of Staff is Craig Carbone, who had the same job at some point during Scott’s time as Governor. Carbone also worked as a political director for Scott’s Senate bid. Chris Hartline is Scott’s Communications Director. He had served as a spokesman for Scott’s Senate campaign. Scott picked as his State Director Leda Williams Kelly, who had served as deputy director of External Affairs for then-Gov. Scott. Paul Bonicelli, Collin Lomagistro, and Christine Diaz join Scott’s Senate office as Senior Policy Advisers. Lomagistro worked as a finance director for Scott’s campaign and served as Director of Appointments and Deputy Legislative Affairs Director during Scott’s time as Governor. Diaz and Bonicelli both worked at the federal level during former President George W. Bush’s tenure. 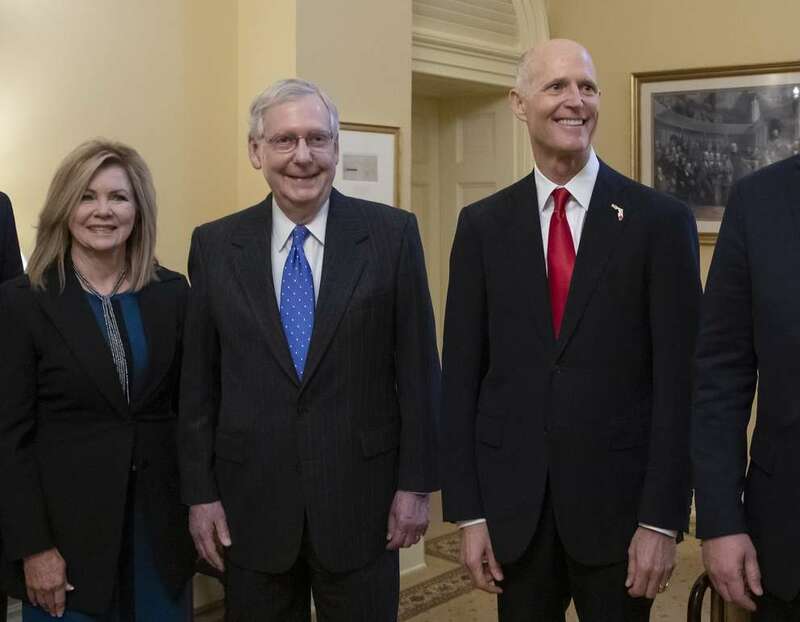 Déjà vu: Rick Scott is filling his U.S. Senate office with lots of familiar faces. 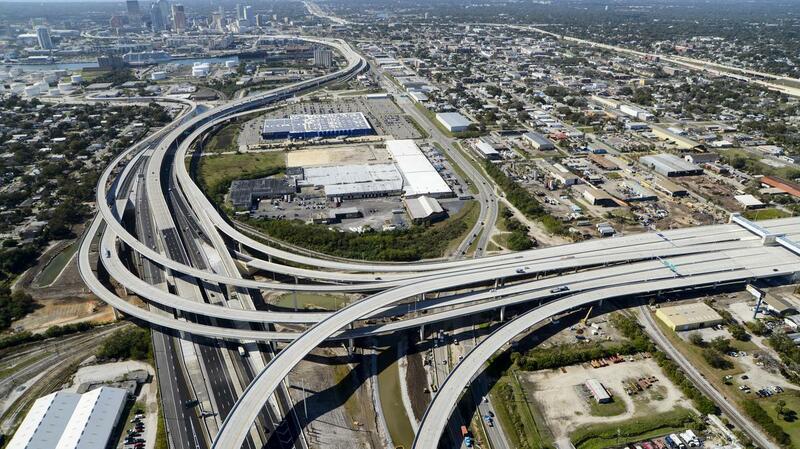 “Is the I-4 corridor finally gaining clout again in Washington?” via Steve Contorno of the Tampa Bay Times — Representatives from the two metro areas nabbed highly coveted positions on House committees and in the Democratic caucus when assignments were finalized last week. St. Petersburg Rep. Charlie Crist will join the Committee on Appropriations, the panel that controls the purse strings of the federal government. Rep. Stephanie Murphy of Winter Park is on the Ways and Means Committee, which writes the tax code. Meanwhile, Tampa Rep. Kathy Castor was tapped by House Speaker Nancy Pelosi to lead a highly anticipated committee on climate change. 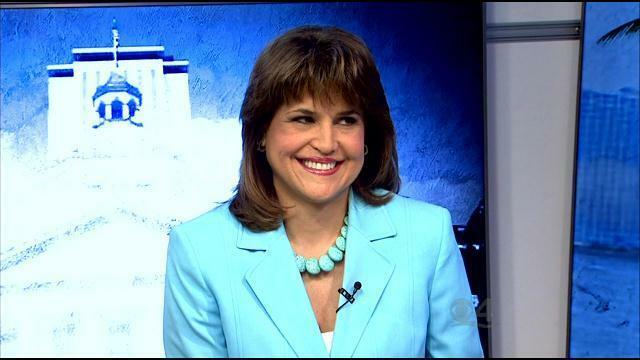 And two Orlando lawmakers have influential new assignments: Val Demings will lead candidate recruitment for the Democratic Congressional Campaign Committee and Darren Soto will serve on the Energy and Commerce Committee, a panel that will address health care in the new Congress. Combined, it represents the most power the region has held in Washington since the passing of legendary Rep. C.W. Bill Young in 2013. “NASA contractors struggle without pay during government shutdown — and may never see the money” via Chabeli Herrera of the Orlando Sentinel — Nearly 60 people had turned out for the meeting of the International Association of Machinists and Aerospace Workers Local 2061 in Cape Canaveral seeking answers about how to endure the stalemate between Trump and Congress over a border wall with Mexico. About 1,400 employees at Kennedy Space Center whose jobs have been deemed “nonessential” — 600 of them represented by this union — have been at home since Dec. 22. To bridge the gap, many of them are using paid vacation days, burning through their savings accounts, cutting back on expenses and trying to get extensions on their home and auto payments. And for contractors, like the members of the union, nothing is guaranteed. They’re not government employees, so they are not assured back pay once everything is resolved. 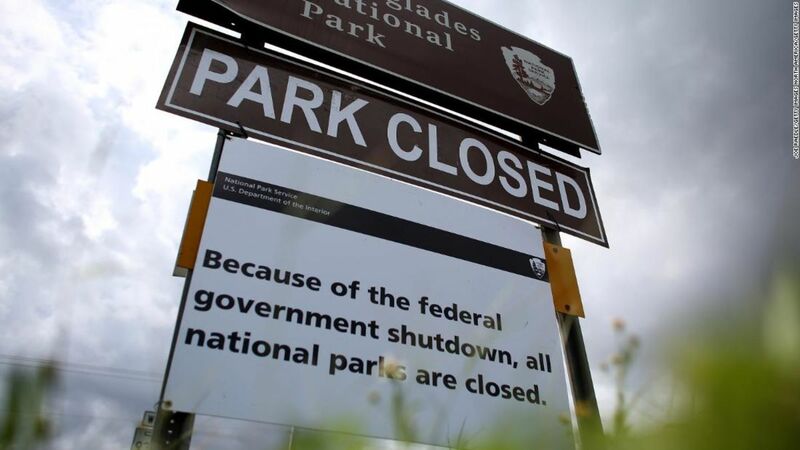 Closed for business: While people are still visiting national parks during the government shutdown, gift shops remain closed, choking off nearly $2 million from nonprofits which run the stores. Image via Joe Raedle/Getty Images. “Pop-up food bank for government workers opens at Tampa International” via Mitch Perry of Florida Phoenix — Officials at Tampa International Airport have opened a pop-up food pantry this week to provide meals for some 700 federal workers. That includes TSA agents, FAA personnel (including air traffic controllers) and U.S. Customs & Border Protection (CBP) officers, according to an airport news release. Meals will be served during the lunch and dinner hours through Saturday, with coordination with United Way Suncoast and Feeding Tampa Bay. The Hillsborough Aviation Authority, the agency that runs operations at Tampa International, also will be providing lunch to TSA, CBP and FAA employees today and Thursday. “As shutdown drags, craft brewers anxious over backlog in label approval” via Sara DiNatale of the Tampa Bay Times — Fat Point Brewing has some beer in a tank without a home inside a can. The government must sign off every time a brewer comes up with a new variety and label. Three Fat Point beers — including a “malty” 80 Degrees Winter Warmer — are awaiting approval. But Fat Point’s Tampa Bay parent company might not hear back for a while. More than 192,000 labels are sitting in an ever-growing queue creating a worrisome backlog for alcohol makers across the country. The Alcohol and Tobacco Tax and Trade Bureau website stopped updating its application count on Dec. 21, the day before federal funding expired, prompting all unessential workers to stop reporting to their jobs. “Usually as long as you have your stuff together, getting approval is not a big burden,” said Leo “LJ” Govoni, a co-owner of Seaboard Craft Brewing, Big Storm’s parent company. “But now, you’re frozen with what you already had.” It’s unclear how many more thousands of applications have been sent in since the shutdown started. “Alcee Hastings announces he has pancreatic cancer” via David Neal and Alex Daugherty of the Miami Herald — Hastings, a Broward County Democrat and the longest-serving member of Congress from Florida, announced he is undergoing treatment in Washington at Georgetown Lombardi Comprehensive Cancer Center. Hastings, 82, said he feels optimistic about his prognosis. “I was recently diagnosed with pancreatic cancer, and in the midst of this traumatizing news, I found myself wondering not only if I would survive this disease, but also if it would impact my ability to perform my duties,” Hastings said in a statement. “Now that I have begun treatment, I feel hopeful about survival and about my ability to continue serving my constituents of Florida’s 20th Congressional district and the nation.” The recent diagnosis hasn’t affected his attendance in Congress. Hastings has shown up for every recorded vote since the new Congress began on January 3rd. President Trump is a longtime disruption in Palm Beach. He had sneaked into Mar-a-Lago in 1985 with the deal of a lifetime, Roxanne Roberts writes for The Washington Post. And he’s done nothing but change things up since. 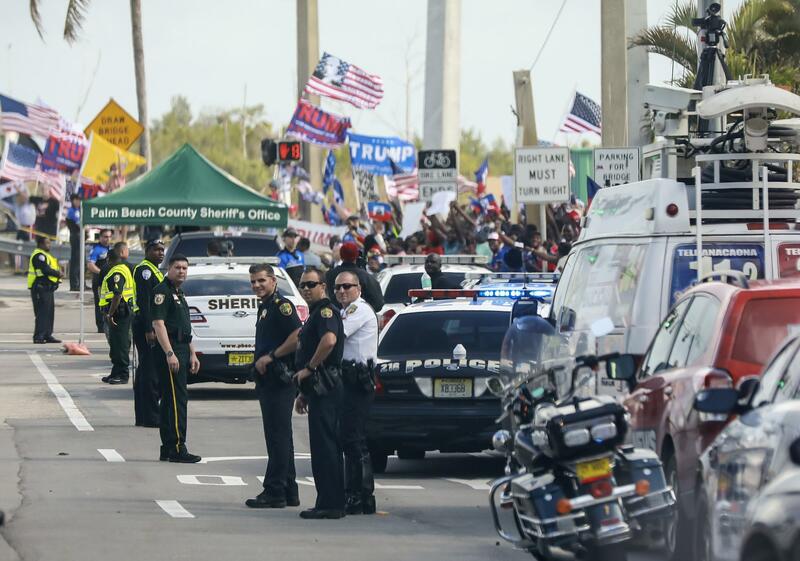 The security details, protesters and supporters of today — when “there are detours, traffic jams and other irritations, the kind of things, frankly, that the wealthy regulars come to Palm Beach to avoid” — are just the icing on the cake. Donald Trump has caused pain for Palm Beach since at least 1985. And it’s only getting worse. Image via the Palm Beach Daily News. Scoop — Joe Gruters first task? 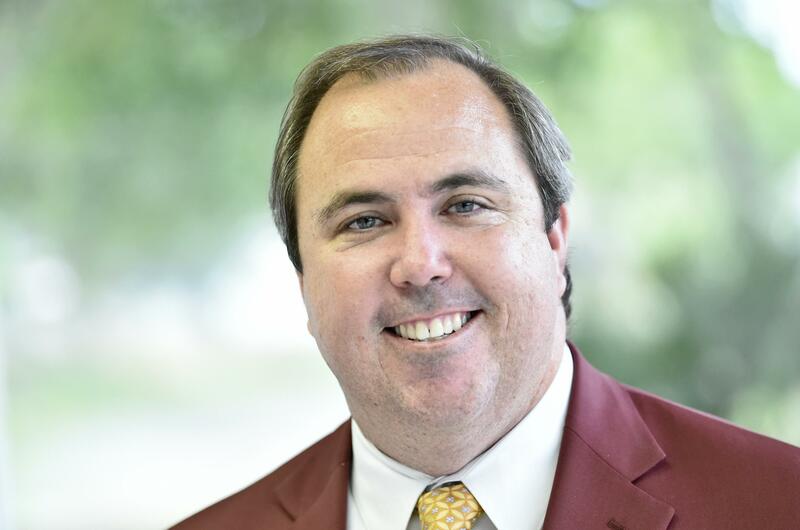 Finding a new Executive Director for the RPOF — Days after Florida Republicans elevated state Sen. Gruters to state chair, but he’s already got a major hiring decision — replacing Republican Party of Florida executive director George Riley. What’s he looking for? 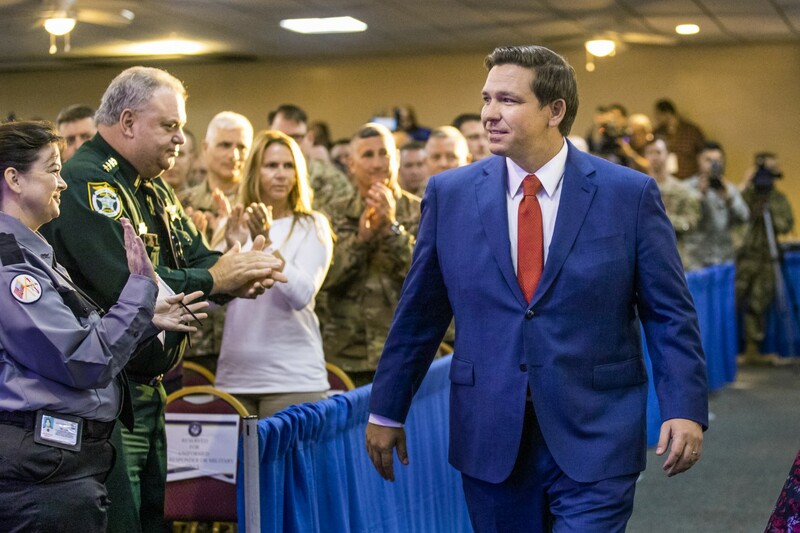 Simply, a person with strong connections to Trump’s presidential campaign and administration, DeSantis’ team of Florida supporters and a deep understanding of Florida politics as a whole. “There’s not a lot of people that fit that criteria,” Gruters concedes. “But it’s critical we find somebody.” Trump’s re-election will be the party’s top 2020 priority, where the presidential contest will be the only statewide race. 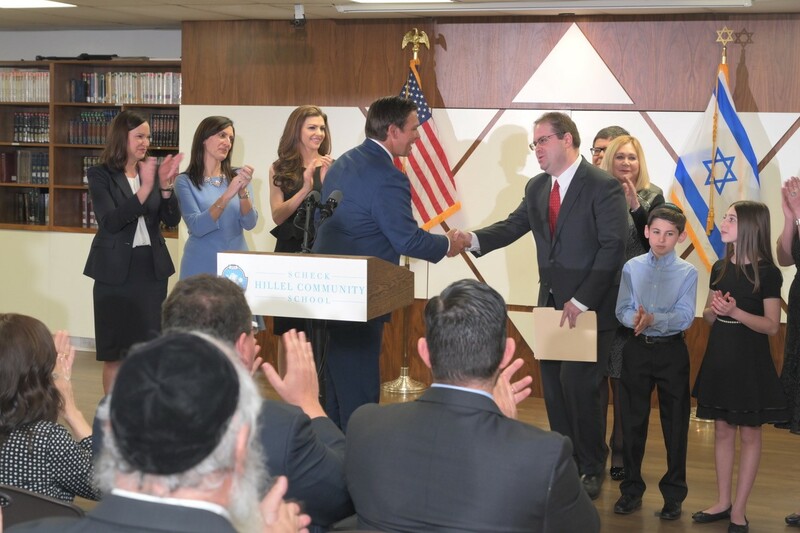 Gruters praised Riley, who took over as executive director in 2016, and the director to extend his stay on staff, providing communications support for elected Republicans. Job one: Joe Gruters’ first task as RPOF chair is to find a new executive director to replace George Riley. Image via the Sarasota Herald-Tribune. Personnel note — Erin Gillespie opens her own consulting firm — The former spokeswoman for Agriculture Commissioner Adam Putnam and a deputy chief of staff at the Department of Economic Opportunity now has created Madison Street Strategies. Its website describes the new operation as an “Opportunity Zone advising group, supporting small businesses, investors, local communities and government entities. We also specialize in short-term and long-term disaster recovery for communities, connecting state and federal resources.” At DEO, Gillespie “led the state’s selection of 427 Opportunity Zones and worked with communities to develop strategies to attract Opportunity Fund investment.” The Auburn University graduate also has been a reporter for the Columbus (Ga.) Ledger-Enquirer and the News-Press of Fort Myers. Personnel note — McKinley P. Lewis named DMS chief spokesman — Lewis, formerly a deputy communications director to previous Gov. Scott, moved to the Department of Management Services, the agency that manages the state’s real estate, among other duties. The move was announced Monday. Lewis had been in the Executive Office of the Governor for almost three years after serving as communications director and press secretary at the Department of Corrections. He began in state government began at the Department of Health as a communications specialist. 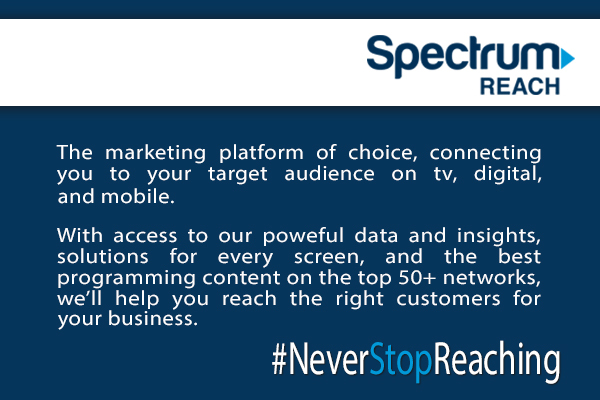 He previously was an account manager for the Tallahassee-based CoreMessage PR firm. Personnel note — Nelly N. Khouzam named Chief Judge of 2nd DCA — Khouzam was unanimously selected by her colleagues as chief judge of Florida’s 2nd District Court of Appeal, headquartered in Lakeland with a branch in Tampa. She will serve a two-year term that begins July 1, succeeding current Chief Judge Edward C. LaRose. As chief judge, she will be responsible for all administrative matters in the court. Khouzam received an undergraduate degree from the University of Florida and a law degree from the University of Florida. She has been a shareholder at Fowler White and later at Silberman and Khouzam. She then served 14 years as a circuit judge in the 6th Judicial Circuit for Pasco and Pinellas counties before being appointed an appellate judge by then-Republican Gov. Charlie Crist in 2008. Personnel note — Kevin Emas named Chief Judge of 3rd DCA — Emas replaces Barbara Lagoa, elevated last week to the Florida Supreme Court. Emas “has the distinction of being appointed to the judiciary by three different Governors,” his online bio says. Gov. Lawton Chiles appointed Emas to the Miami-Dade County Court in 1996. Five years later, Gov. Jeb Bush appointed him to circuit judge, and in 2010 Gov. Crist appointed him to the 3rd District Court of Appeal. Emas, who will serve as chief until June 30, 2021, will be responsible for all administrative matters of the court, which serves Miami-Dade and Monroe counties. First Amendment Foundation seeks nominations for Lucy Morgan Award — The award is named for Morgan, the Pulitzer Prize-winning former reporter for the St. Petersburg Times (now the Tampa Bay Times) who “broke countless stories using public records.” The award honors a Florida journalist who uses public records to report stories exposing corruption, revealing government conflicts of interest or otherwise serving the public interest. The contest is open to all Florida journalists and there is no fee for entries. For details and more, visit FAF’s website at floridafaf.org. “2019 will be a strong vacation year for Floridians, AAA said” via Malena Carollo of the Tampa Bay Times — AAA projects that 84 percent of Floridians expect to take a vacation or leisure trip of at least three days in 2019, up 1 percent from last year. Most expect to head to theme parks (36 percent), beaches (31 percent), the ocean or large cruises (29 percent) or to a major metro area (28 percent). Just over half (56 percent) anticipate taking a spring break trip of 3 or more days. For theme parks, most will head to Walt Disney World (62 percent), followed by Universal Orlando (55 percent), SeaWorld Orlando (40 percent) and Busch Gardens (38 percent). 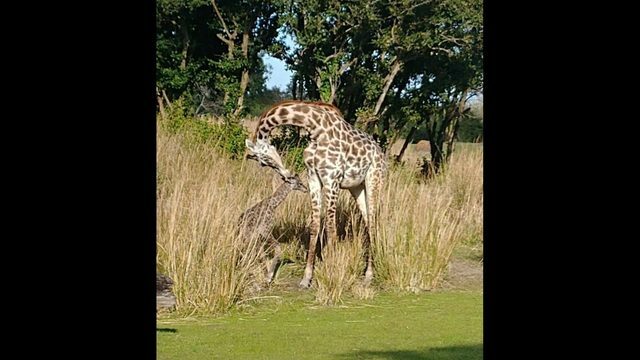 “Giraffe calf born at Disney’s Animal Kingdom” via John Gregory of Orlando Rising — Guests spotted a giraffe going into labor on the park’s Kilimanjaro Safaris ride. Several people posted videos on Twitter showing the mother, Mara, in various stages of active labor in full view of the safari vehicles — including when the calf’s legs could be already be seen. Disney welcomed the new calf on its Animals, Science and Environment Facebook page, saying Mara: “gave birth to a Masai giraffe calf today around 2 p.m. on the Kilimanjaro Safari Savanna. Mom and calf are bonding well, and we hope to share more details soon!” The new, unnamed giraffe is the third calf born at Disney World in the past year. Happy birthday: Disney’s Animal Kingdom welcomes a new Masi giraffe calf born Monday. Several guests broadcast the birth on Twitter. Image via Disney. “Lego is making building sets for grown-ups” via Amanda Tarleton of Fatherly.com — The Forma kits, which allow you to build, decorate and operate a tiny kinetic fish, are the latest innovation in what’s become known as the “kidult” market, consisting of toys for grown-ups to help relieve stress. The Danish company describes the Forma kits as “a premium Lego experience for adults looking for a simple, fun way to disconnect from their screens and reconnect with their creative side.” And the new release is in high demand, exceeding the company’s goal by over 1,000 percent within a week from when it started as a crowdfunded Indiegogo campaign last week. What Steve Vancore is reading — “No cash to tip your hair stylist? ‘Tippy’ to the rescue” via Marcia Heroux Pounds of the South Florida Sun-Sentinel — Tippy, a new app by a Fort Lauderdale startup, makes it convenient for customers to leave tips for their hair stylists and spa workers when they don’t have cash and can’t add them to their credit-card tab. The app, launched in early December, is already being used in 60 salons, according to parent company DirectTips, which has raised more than $3 million. It’s in support of the company’s nationwide rollout of placing an iPad featuring the app in salons. Stylists like it because they can see the tip on their cellphone app, and they get a direct deposit into their checking or savings by the next day. Celebrating today are U.S. Rep. Neal Dunn, former Reps Dan Davis and Jake Raburn, and the FHCA’s Melody Selis Arnold. Happy belated birthday to Jorge Chamizo of Floridian Partners.